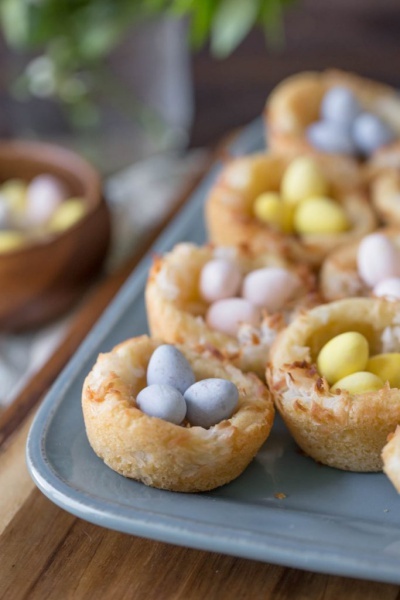 Sugar Cookie Easter Egg Nests. Not only are these a really sweet little dessert, but they make adorable edible place cards for your Easter table setting. Especially for a kid’s table.